I originally posted this colour-coded keyboard layout for the Mycenaean Linear B syllabary in 2014, but it bears re-posting, because it is so very helpful to people learning how to type in Mycenaean Linear B. Simply right-click on the image of the keyboard above, then SAVE AS + whatever name you wish to give it, then print it out on your printer. You can also download several ancient Greek fonts from the same site, but I highly recommend you select the SPIonic font, as it is the one which was used by the Athenians in the fifth century BCE. However, the font as downloaded appears in both upper and lower case and features all of the Greek accents. The original Athenian alphabet was in upper case only. Welcome to Mycenaean Greece & Linear B, our new Circle on Google +, and the only one of its kind. 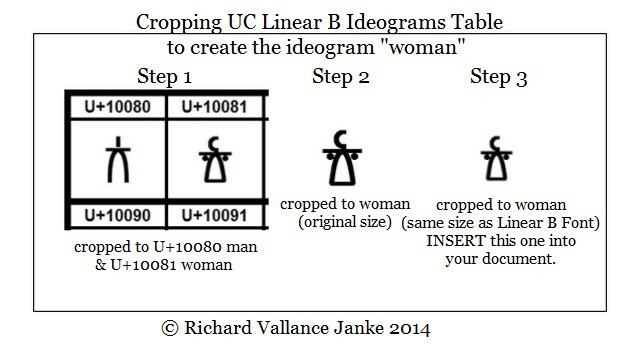 We shall be posting a great many Linear B tablets, photos, illustrations, tables, charts, graphics, etc. here so you will not want to miss our great new Google + Circle, and I suspect that many of you will certainly want to join. 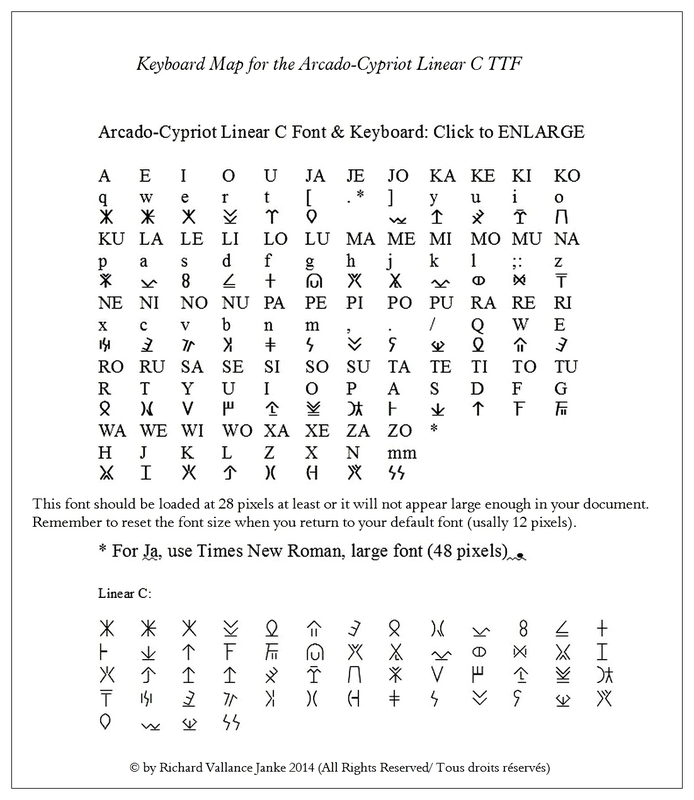 We shall also be posting information, photos and the like on Arcado-Cypriot Linear C, The Catalogue of Ships in Book II of the Iliad by Homer, ancient East Greek dialects (Mycenaean, Arcado-Cypriot, Aeolic, Ionic & Attic), and any other information we deem  relevant. So if you are at all interested in these areas of interest and research into ancient Greek studies, linguistic or otherwise, and ancient Greece itself, you will probably want to join our circle. Be as it may, it is up to us in the early twenty-first century to rectify this pitiable state of affairs.